I'm constantly amazed by how much my brain is bombarded by information (let alone raw stimuli) every second of everyday. If I'm honest, most of it is completely useless fluff; entertainment at best, advertisement at worst. But a good amount of it is still worth looking at and remembering. In it's current state, my life doesn't always allow the time to look at everything when it presents itself. I mean, how could it? Because of this fact, I've come up with a few app systems that allow me to curate most, if not all of it. I figured I can't be the only one with this kind of life, so I thought I'd do a post about the different apps I use to remember things and how I specifically use them. Most of the apps I am about to talk about are free and are available on many different platforms. So this isn't yet another Mac-based software post. I know I tend to focus on those. Also, please note that these aren't reviews of these apps. Some of them I use to their fullest extent, but most them, I use for that one function that they do extremely well. The good news is that most of these apps have been around for a good amount of time and have been reviewed extensively. So feel free to Google them afterwards if you want to know more about them. As always, I'll also have links at the bottom of this post to their downloads and dev sites. I come across an article, review, link to an event, video, etc. that I either want read later or share with another person. There's one caveat though: I have no intention of keeping it. I'll read/view it later and then I'll delete it. I come across web content that is more of a resource. Something that I will need and continue to reference in the near and very distant future. It's that tidbit or object that you know you'd absolutely regret losing or forgetting. Lists. We all have them! Grocery lists, to-do lists, gift lists, travel prep check lists… they're those lists of important things that you check off immediately after you do them. When the list is done? You happily delete it feeling that warm sense of accomplishment. Tiny notes. Particularly ones that you need to share across devices. Like a Post-it note but more permanent. I won't need it all of the time, but if I am flaking out and just can't remember, it's in it's separate app waiting. Password and Account info. Between my wife and I alone we have, sickeningly, close to a hundred different logins to a host of websites that vary from yoga studios, to credit card accounts. We could use the same user ID and password for all of them, but shouldn't and we don't (nor should you). For this, I need an app that wrangles all of these accounts and passwords, so that they are easily found and encrypted to the hilt. Those are the scenarios! Now I'll go through each app that I use to combat them. For these situations I rely on "Instapaper". Marco Arment's Instapaper is worthy of an entire post alone on this site, but when it comes to shelving a movie review that I really want to read but don't have the time to? Instapaper is perfect and is my go-to app. Through it's applets and API I can send anything on just about any app on any platform (computer, phone, tablet) to my Instapaper account to read later in it's now extremely popular stripped down format. No distractions, stripped of ads, viewable offline, lots of choices to suit my reading aesthetic, all wrapped up in a solid, dependable platform. I use Instapaper to save so much of what I find in my daily travels on the internet crazy that the service is free. And when I'm done with the content, I delete it! I don't have to, there are plenty of options to archive things in Instapaper, but it's not how I happen to use it. Browser-based, it's available anywhere there's an internet connection. There are also native apps on iOS and Android platforms as well, and though I don't own an Android device, the iOS apps work flawlessly. Situation Two: Non-disposable Resources. In other words, that stuff you want to keep. In these cases, I rely almost exclusively on "Evernote". Evernote is one of those software solutions that is completely adaptable. There are just so many ways to use it! Their approach is simple: offer any and every way that you could think of to upload anything digital, permanently to the cloud. Oh, and make it super easy too! Me? 95% of the time that I use it, I utilize their very handy web-clipper browser add-on to send snapshots of web sites onto Evernote's cloud storage. I do tend to tag my additions and add them to folders, but that isn't really necessary. Once clipped into Evernote, your entry is saved, completely searchable and, at the very least, auto-organized by date. Just a couple weeks ago I saved a dozen different web sites on shower heads. Tagged "shower", it was simple to bring up everything I'd found weeks later when I was ready to pull the trigger and buy one. Easy! But you can also use it in other handy ways. A perfect use case of this is when I used it the other day when we bought and enjoyed a bottle of wine while out for dinner. After we drank the wine I took a picture of the label on the bottle, tagged the variety ("red" "malbec") and, because I took it with my phone, Evernote used the GPS coordinates to log where the photo was taken, so we could remember where we drank it. Months later, we wanted to have the same wine out for some friends who were coming over for dinner. When I was at the wine shop, I opened up Evernote on my iPhone and knew precisely what I was looking for. It also helps A TON when someone asks to help you. This exact same approach is also incredibly handy when you park you car in an airport parking lot before leaving on three week trip to India. Take pic of the lot and space number. Save it. Get on with life and focus on other things. Simple. In the end, Evernote's service is definitely one of those "what you make of it" situations. But don't let that deter or overwhelm you. Trust me, I don't even use it tonearly the degree that others do. My workflow is simple by design and, because of that, it's been pretty damn invaluable over the years. There are three types of lists that I typically keep. Lists before an event, like a vacation, making sure we have everything we need. Any trip to a hardware store inevitably should have a list. My apps of choice are "Grocery IQ" for grocery stores and Apple's own "Reminders" app on the Mac and on iOS for everything else. Both sync across multiple devices. Grocery IQ gets a leg up over Apple's own "Reminders" app because it offers up coupons as well as the ability organize your list by aisle if you already have your favorite grocery store layout memorized. It's super simple to use and always handy when someone is home and remembers something while you are on the way to the store. The "Reminders" app is baked into iOS (so it's free), syncs with iCloud and is backed by Apple, so you can't go wrong with it. It's quite simplistic (just multiple lists of check boxes and text) but it does what it does very well. What's a "tiny note"? Tiny notes are those incomplete sentences of info that you need handy at any given moment in time. An example of this is an address to a party or a security code into someone's place that you occasionally visit. It's not worth permanently archiving, but it's also not really disposable either. A perfect use case for this is my sister recently moved into a new flat that has a security code at the front door. She told it to me and I instantly jotted it down on my phone. I don't want to memorize it right away and I certainly don't want to keep badgering her for it whenever I visit. For all of these scraps of important andconvenient info, I use the "Notes" app in iOS. It's super basic, baked into iOS (again, it's hard to beat free) and because I don't use it for anything else, it's not terribly crowded with other bits of info. As of today, I still only have one note in the app with a small list of things that I need occasionally and because it's synced through iCloud, I don't need to read it out loud or send it in an email or text to my wife. I simply tell her it's in "Notes" and she knows exactly what I am talking about. If there is only one thing you take away from this post, I hope it's this: take the protection of your ID and password info seriously. There are a lot of password generators out there and just as many apps that work well at encrypting and storing your personal info remotely and securely. I personally love, and use Agile Bits app "1Password". They work on the simple premise that the safest password you could ever have, is one that you do not know. Basically it works like this. You have one password to memorize, and that is the password to the 1password app itself (see what they did there?). Inside this app is a highly encrypted database of all of your user ID's and passwords (which can be created in-app with their password generator), support for full credit card info, personal documents, personal info, you name it. It'll accept just about anything you want protected, yet accessible. For all it is under the hood, it's quite incredible how easy it is to incorporate it into your life! One way it really saves time, is in it's ability to auto populate web fields with the click of a button when using their feature-rich (yet easy to use) browser plugin. Go to a site, click the 1Password button in your browser's toolbar, type in the one password for the app, click the link that corresponds to the site, and you are on. It takes it from there, auto-populating the fields and even logging you in with an incredibly hard-to-crack password that you have no chance in hell of remembering. In addition to logins, the auto-population is borderline magic when you face situations where you have to fill out forms for anything online. Not having type in your mailing address or credit card info instantly becomes addictive. It's not all roses, there's a good bit of manual setup involved, but once you get your info into 1Password, you are set and life becomes way more convenient (not to mention way more safe). 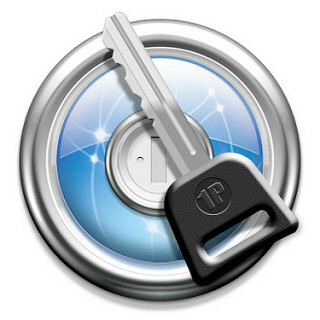 1Password also isn't free, but in my opinion it's worth every penny you spend and then some. I think you'll find that you'll use it mostly on your home PC, but it's also available on iOS and Android devices as well. So that's it! With the above apps, I've streamlined a ton of useless crap out of my day to day. I no longer sweat nearly as much about remembering non-critical moments or things. In all cases I have access to everything on every device I own with a screen and an internet connection. Errands are cut short, time is gained, your important info is protected…. Even if you were to try just one of these above situations out, I promise you, you'll see the benefits. Give it a shot! Let me know what you think on Twitter.